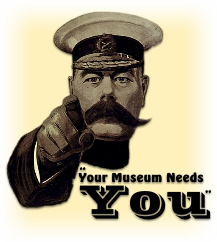 Are you based in the Haverfordwest/Pembroke area, and would like to play a part in the future development and continued success of a local museum dedicated to preserving our aviation heritage? If you answered yes to both questions, then you have come to the right place! There is much that you can help with. Whatever your ability, there is a place for all – whether it be in the day to day administration of the Museum, as a tour guide showing visitors around the Museum, shop working at our Charity Shop in Willings Passage, Pembroke, or simply to provide a willing pair of hands to assist when required – for example, at our annual Open Days, see Open Day Gallery. Our volunteers are a great bunch of people – and they make sure that whilst volunteering, a good time is had by all.